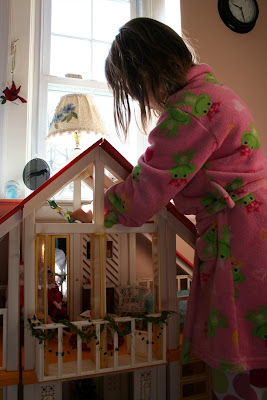 Pink and Green Mama: * Christmas: Decking The Barbie House Halls! * Christmas: Decking The Barbie House Halls! for Christmas. I had a tiny tree and a few ornaments but that was about it. I was telling the girls this last week while we were putting up our own Christmas tree. 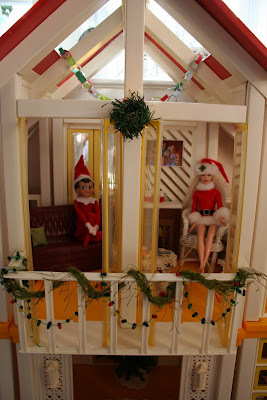 they decorate the doll house for Christmas. and got to work right away. bits of construction paper, Christmas-themed scrapbook paper and scotch tape. 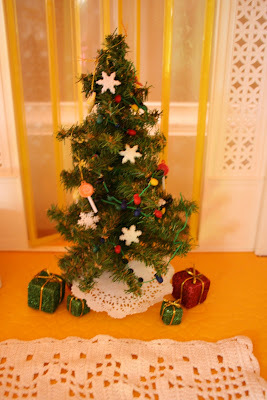 with a few tiny ornaments and a paper doily for the tree skirt. The table is set with plum pudding, a ham, and some hot cocoa! update the house with more "Christmasy" linens and rugs. 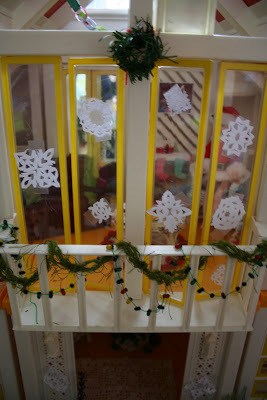 Tiny string lights and fuzzy green yarn were used as garland on the balcony. to tape up on the windows! Why didn't I do that when I was little?! This is "Holly" our Christmas Barbie. 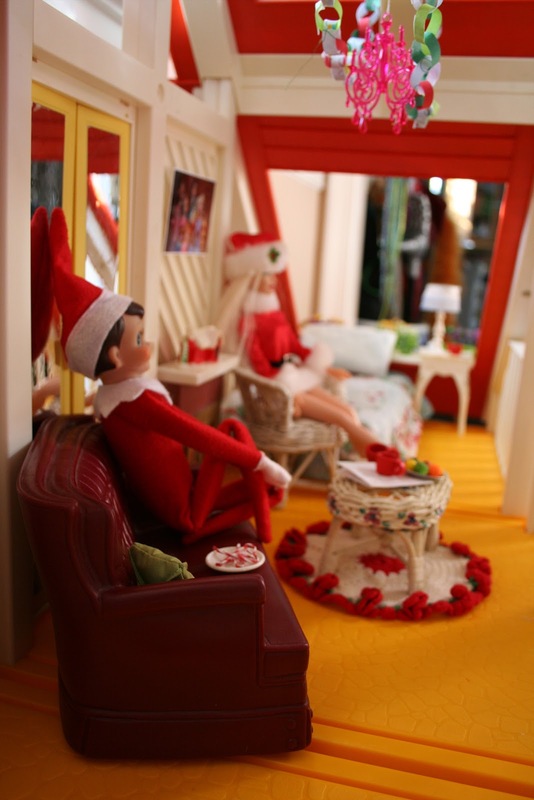 They're snuggling on the couch, by the fire with some hot cocoa. one and taped them up on the fireplace. warm and happy holiday season! * Toilet Paper Tube Craft: Homemade Angry Birds! * Re-Cycled Paint Stick Snowman Snow Ruler!